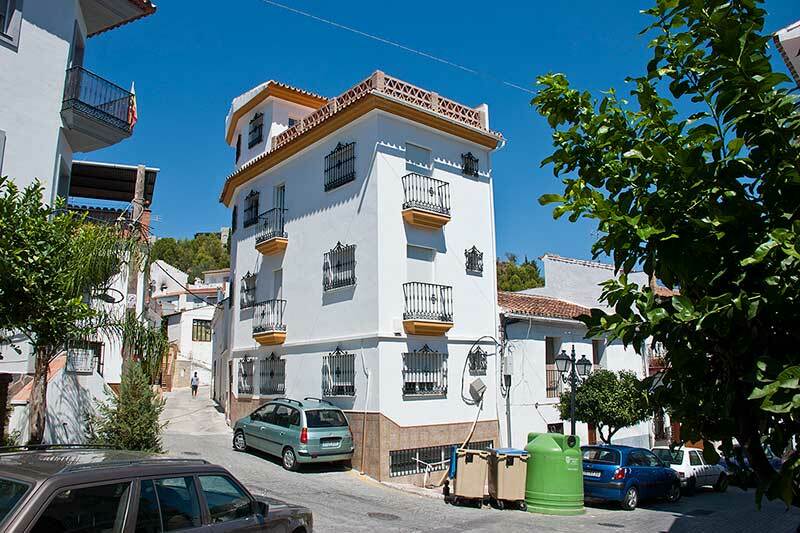 Monda is located some 10 miles from Marbella just past Ojen along the A355. It is a charming town, very popular with tourists and newer residents who have relocated to start a new life in the sun. Monda is surrounded by the Sierras de Las Nieves on one side and the Alpujatas on the other, both of which provide a dramatic backdrop to a town that is so close to the hub of activities on the Costa del Sol, yet offers a more sedate lifestyle up in the hills in the clean, crisp air surrounded by unspoilt nature. Monda’s most prominent landmark is its castle, perched high up on the hillside and overlooking the town. Having witnessed its fair share of battles and changes over the centuries, the Castillo de Monda is now run as a hotel and wedding venue. While records of the fortress go back as far as the 13th century, Monda’s history is rumoured to pre-date this by many centuries all the way back to 45 BC. The town itself is well kept and there’s a great sense of pride among the local residents about their town, local traditions and the way of life. One of the major contributors to the local economy are olives. You’ll notice the vast olive groves as you approach the town along with an olive press at the entrance to Monda where everyone, regardless of quantity, is welcome to press their olives. Monda has a good range of amenities and facilities such as bars, shops, restaurants, a medical centre and schools. Interestingly, you won’t find any large supermarkets in the town – it remains traditional and typically Spanish in many ways including the way people shop. Along with the weekly market, you’ll find local produce from butchers, bakers, greengrocers and so forth.